A new research project funded by the Research Council (TRC) on sea-level development in Oman was launched in Oman and Germany recently. 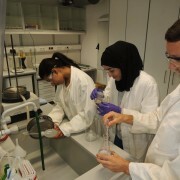 The project is the second project on natural hazards and other processes along the coastline of Oman conducted by a team of researchers, including students and lead by Prof. Dr. Goesta Hoffmann of GUtech and Prof. Dr. Reicherter from RWTH Aachen University. “This second project aims at the quantification of driving forces acting along the coastline of Oman; an area where the country’s population density is highest but knowledge on acting natural processes is limited. 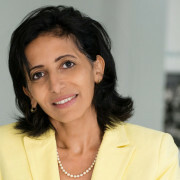 The proposed high resolution study follows a holistic approach and is based on results gained within a first TRC (funded project (ORG GUtech EBR 10 013) as well as on outcomes of the international IGCP (UNESCO’s International Geoscience Programme) project 588,“ said Prof. Dr. Goesta Hoffmann, Associate Professor at the Department of Applied Geosciences at GUtech. 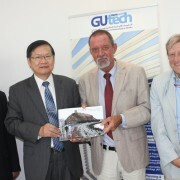 According to Prof. Goesta, the project also aims to bring together students from GUtech and its associated RWTH Aachen University in Germany and to combine teaching and research, which is the key to success. Oman’s Team Kitabi, from the Computer Science department of GUtech, won the second place in the World Citizenship category for its project Readathon – a revolutionary mobile application that allows users to read books online in a smart, marathon-like manner. The Regional Imagine Cup Competition, a Microsoft Global Competition, was held in Bahrain earlier this month. To inspire people to read books on their mobile phones, the students have invented and designed a mobile reading app, called ‘ReadAthon’ – Regain the Joy of Reading. 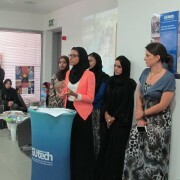 “We believe our app will encourage people to read more books,” said Alya Al Shanfari, Computer Science student at GUtech. “Beauty of knowledge lies in the mist of reading and so ReadAthon is the way to attain this greatness. Imagine Cup is a great vessel for students to express their imagination” said Dr. Basel Dayyani, Computer Science Professor at GUtech who was accompanying the group to Bahrain.